Reach your target audience! The Roller Skating Industry Trade Show, held on April 28 – May 2, 2019, is YOUR time to build value-oriented business relationships with the decision-makers of the roller skating industry. This two-day trade show floor provides you with an unprecedented opportunity to maximize your time and meet with current and potential clients. Exhibiting, advertising and sponsorship packages are all available. The Bowling Centers Association of Michigan (BCAM) is a statewide association that protects, promotes fosters and advances the interests of its members in their respective business of operating bowling centers. The BCAM is affiliated with the Bowling Proprietors’ Association of America located in Arlington, Texas. The focus this year is to create a format designed for member centers of all sizes. Seminars are designed to address member challenges, train employees and establish a Fall Start Up plan with an emphasis on our core business, “League Play.” Most unique this year is one paid member registrant allows all employees to attend for free. A specific game plan has been established for employees to experience the industry (Trade Show), have fun/develop new ideas (Monte Carlo Night at a local member location) and receive intense training on league play development within the center. At the Interactive Customer Experience (ICX) Summit, discover new strategies and tech to elevate the customer experience. The 2-day event brings together experts from every facet of the entertainment industry. This full-circle approach provides you with a well-rounded education. Even if you already have laser tag, this is the perfect place to improve your operations and increase revenue. The event is hosted 3 times each year, so you’re never more than a couple months away from the most valuable laser tag education you can find. If you want to learn how to put on the best birthday parties in your market and outshine the competition, Birthday University’s half-day to 3-day seminar programs presented by Frank Price will teach you everything that you’ll need to know. Frank is without a doubt the industry’s top birthday party planning expert. 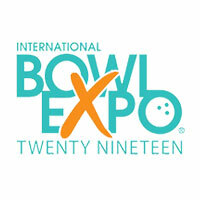 Bowl Expo is the bowling industry’s premier annual convention and trade show for bowling center owners/operators, senior management, and employees, which features exhibits with a wide array of products & services. A key component of a successful FEC is amusement equipment support because broken equipment means you aren’t generating revenue. We launched Betson Technical University as part of our commitment to helping our FEC’s be successful. Our skilled, experienced in-house technicians conduct the training, sharing their knowledge, experience and best practices. These two-day courses provide extensive family entertainment center training, whether the technician is an experienced mechanic or is new to the field. Attendees tell us they appreciate interacting with their peers from other FEC’s, as well as learning directly from technical experts. 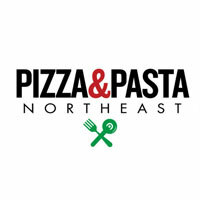 The third annual Pizza & Pasta Northeast will showcase top suppliers for pizzerias and Italian restaurants in Atlantic City on September 25-26, 2019. The two-day show features a schedule of pizza and pasta demonstrations by top chefs, seminars and workshops given by industry leaders, and special presentations from featured keynote speakers.